The cash-strapped country - cut off from further infusions of European funds - ordered its banks and stock market closed for six days beginning Monday, as the country's financial crisis deepens and a Tuesday deadline for easing it fast approaches. 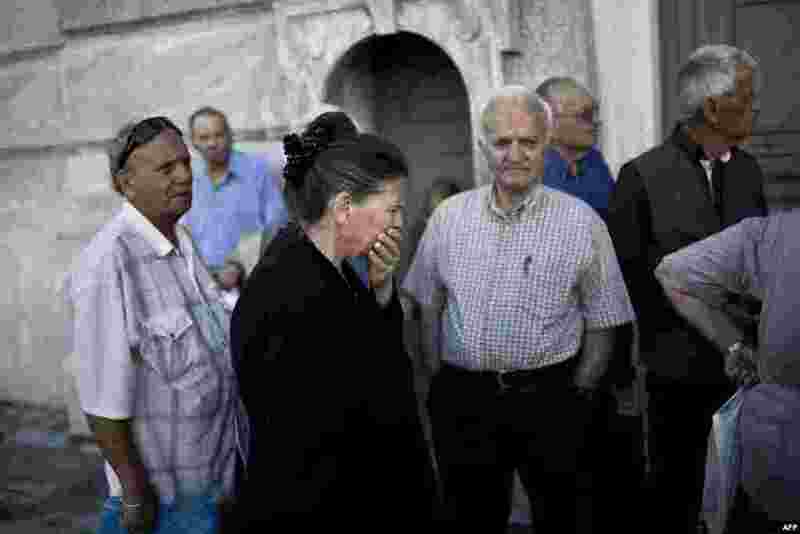 1 Pensioners wait outside a branch of the National Bank of Greece to get their pensions on June 29, 2015 in Athens. 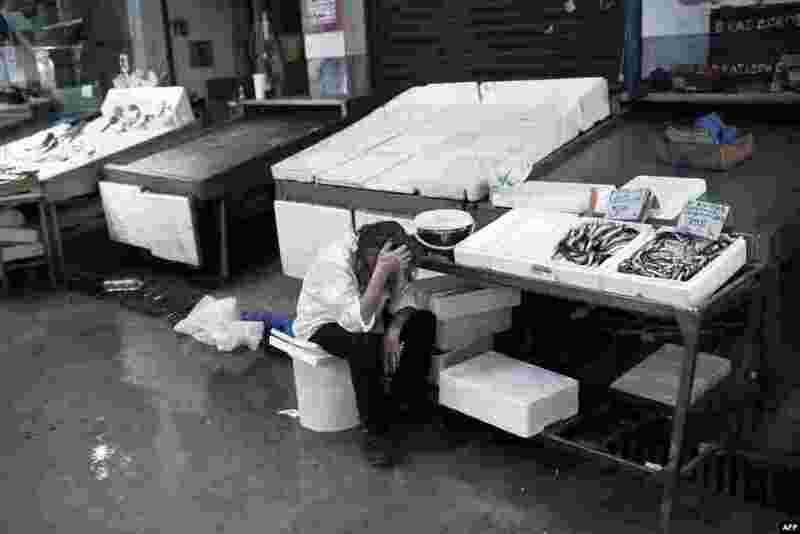 2 A man working at the central Fish market waits for customers in Athens on June 29, 2015. 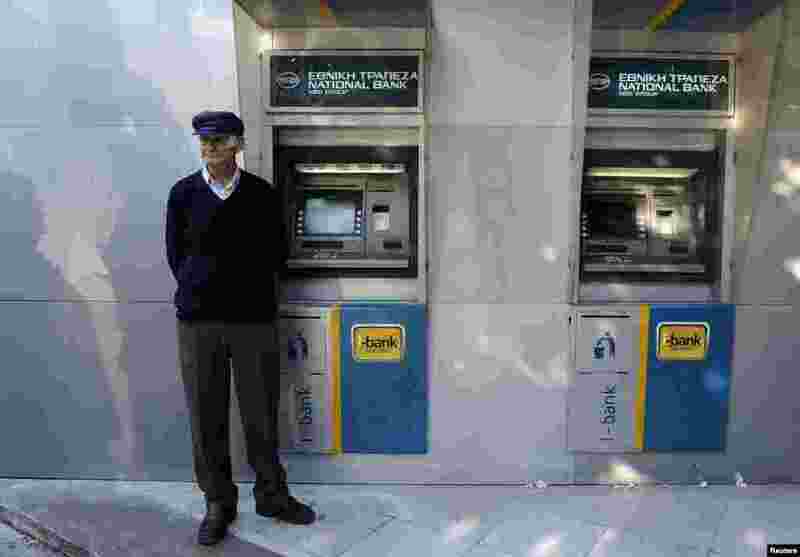 3 A pensioner waits outside a branch of the National Bank of Greece hoping to get his pension, in Thessaloniki, Greece, June 29, 2015. 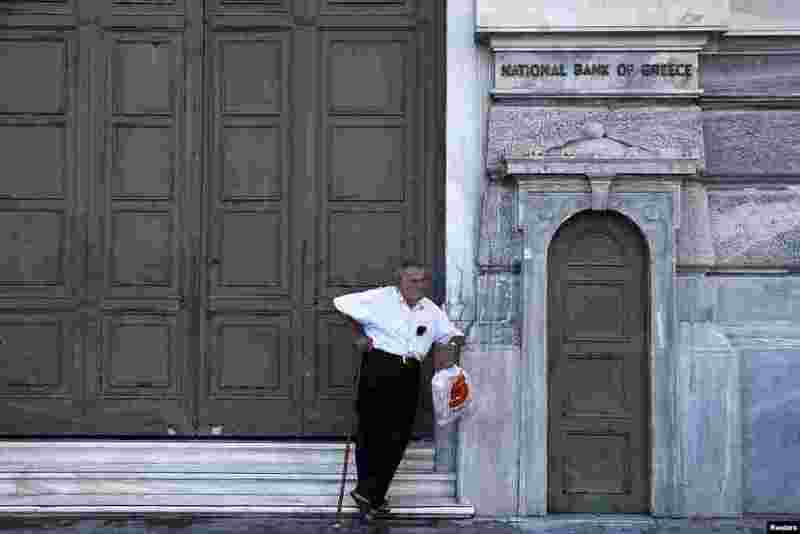 4 A pensioner waits outside a closed National Bank branch at the bank's headquarters in Athens, June 29, 2015.